Yet more Leonard Nimoy poetry about thinking of you, and when he will do it. 'Why this book was written. To capture amid the whirlpool of life's changes and the onrushing flow of time the eternity of love. To bridge the painful distance that can separate a lover from his beloved, and fill the aching void of absence with the indestructible reality of love, to create words and images born of love and embodying love in all its wonder and splendour. That is why this book was written. It is a book to read. It is a book to share. It is a book to remember always'. 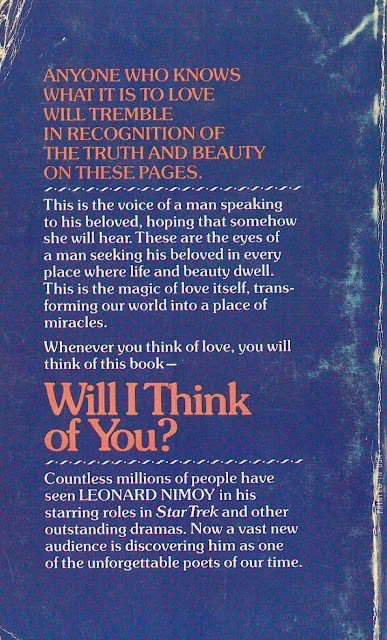 Published in 1974, it's interesting that the cover evokes 'Star Trek' twice, despite the fact that the show had been cancelled five years previously*. 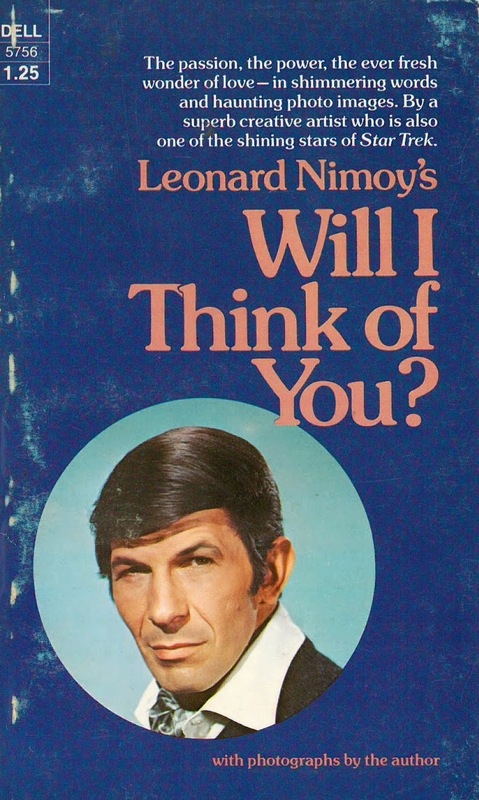 The following year, Len wrote his first autobiography, calling it 'I Am Not Spock', which perhaps should have come with the subtitle '...except for promotional purposes'. Twenty years later, he gave in to it and published a second volume called 'I Am Spock'. Make your mind up, mate. We're already on with looking at his poetry, but it's worth noting that his 'haunting photography' is nothing of the sort, instead being a jumble of poorly reproduced snaps of steps and trees and railway lines and, of course, his lucky wife of the time, Sandi, whom this slim tome is dedicated to. 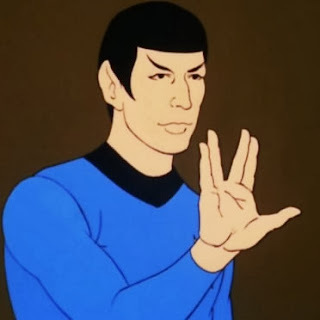 * Nimoy was still voicing Spock in Star Trek: The Animated Series, however.